I remember a time when I didn't even consider my pet's oral hygiene. I guess I figured that nature would take care of their mouths. I was right, nature will take it's course just as it will in our mouths if we don't brush. I ended up with an elderly pooch who needed four back teeth removed. In learning the hard way I decided to work on prevention this time around. But he allows and I explain to him this saves him in the long run. 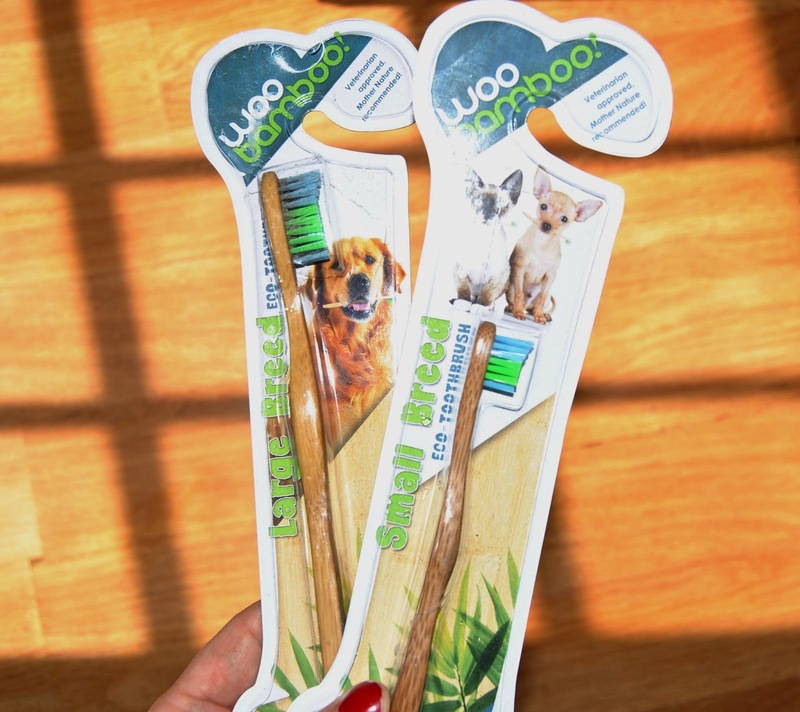 I was recently sent pet toothbrushes from Woo Bamboo. They offer Eco-friendly toothbrushes for pets and humans of all sizes. Besides being more attractive than standard toothbrushes, they are sustainably grown and biodegradable. Think about how many toothbrushes end up in landfills. Woo Bamboo breaks down naturally and doesn't cause harm. I figured now was a good time to share how we brush our critter's teeth. You could really get away with brushing them with a baking soda & water paste. The other ingredients are optional. Each ingredient is beneficial in it's own way. 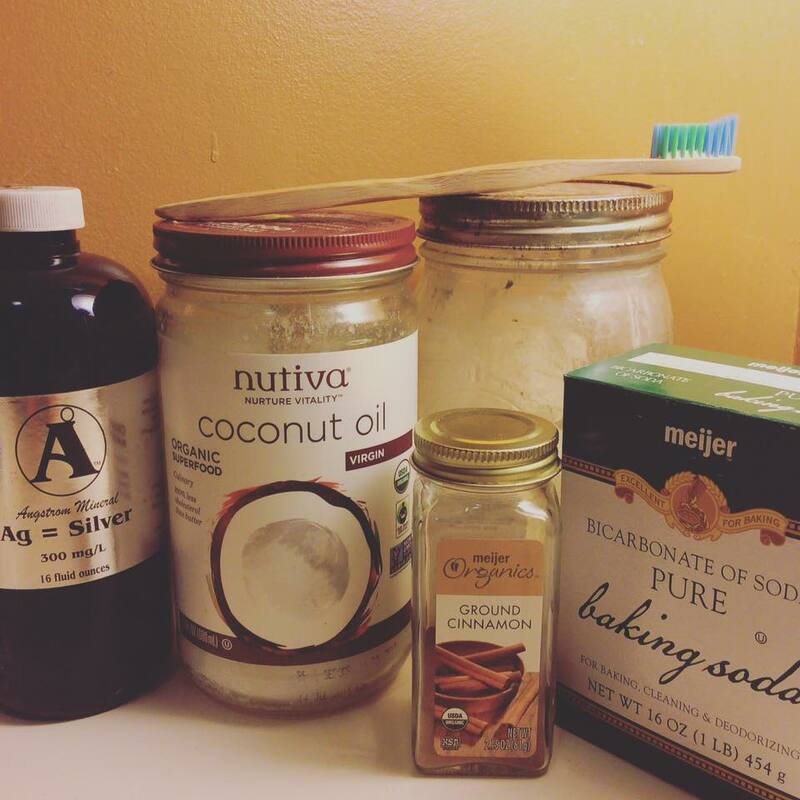 Mix the dry ingredients then add the coconut oil ( can warm gently to melt ) & colloidal silver to make a paste. 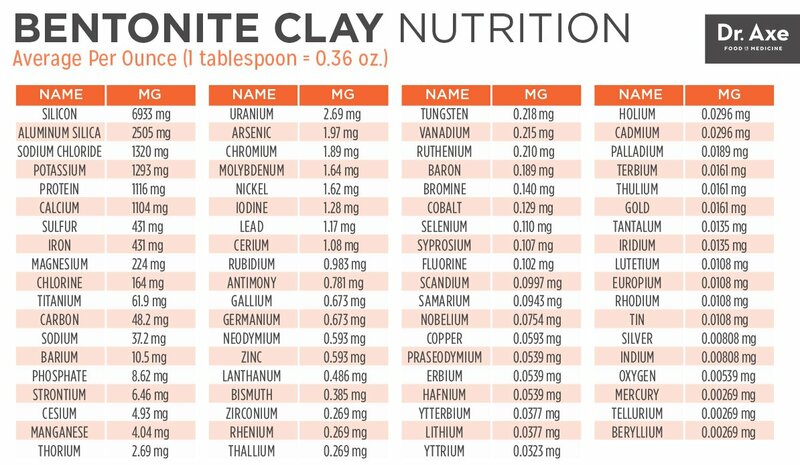 Clay is FILLED with minerals! It is also removes toxins, is alkalizing, is anti bacterial, and allows the tissues to receive more oxygen. 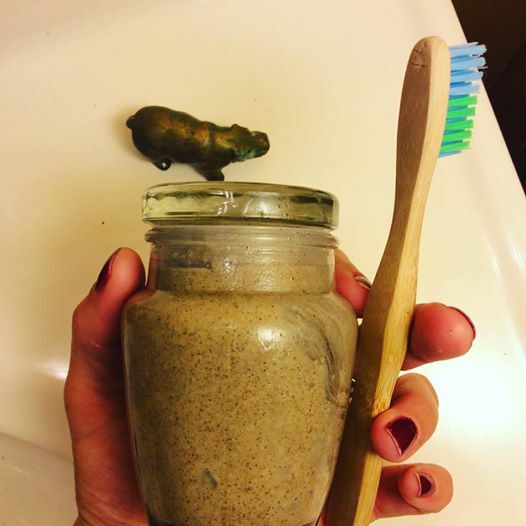 You can read more about bentonite clay here. Cinnamon is a mild abrasive, it is anti bacterial, has a mild blood clotting effect and will freshen the breath. Colloidal Silver is a powerful anti pathogen - it stops infection. Makes a perfect addition to toothpaste. With cats, you can simply use a baking soda/water mixture. Everything else is optional. Same as above, mix dry ingredients first. Depending on your kitty, you may need to wrap them in a towel to brush. Some are fairly easy, some would rather be doing anything else and will scratch their way out. And again make sure there is fresh water available - just like we like to rinse after brushing, so do they. I brush my pets about twice a week and am noticing fresher breath - that has to be a sign of better oral health. Do you brush your pet's teeth? What do you use? How's it working for you?